Mix all purpose flour, baking powder and soda bicarbonate together in a bowl. Take another bowl. Beat the butter and the brown sugar together till it is fluffy. Add the essence and the curd. Beat it well. Add the coffee. Beat it again. Add half of the flour and half of the milk. Beat it. Add the rest of the milk and flour. Beat it. Add the banana and chocolate chops, mix it. It has to be dropping consistency. Take a 8 inch spring form pan. Grease it. Pour the batter. Bake it at 180 degrees celcius for 30 minutes. To check, insert a tooth pick, it should come out clean. 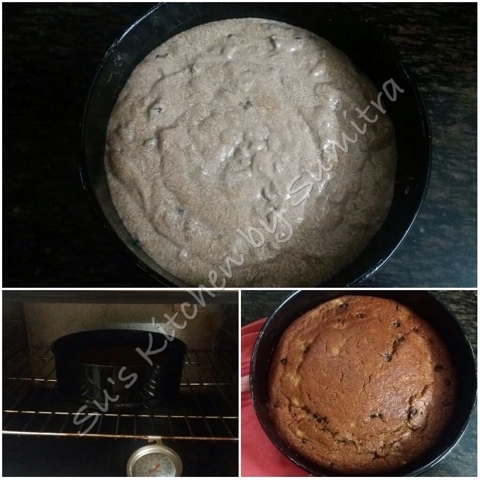 Take it out from the oven, cool the cake before making the cheese cake. P.S. The batter will look curdle... but don't worry. 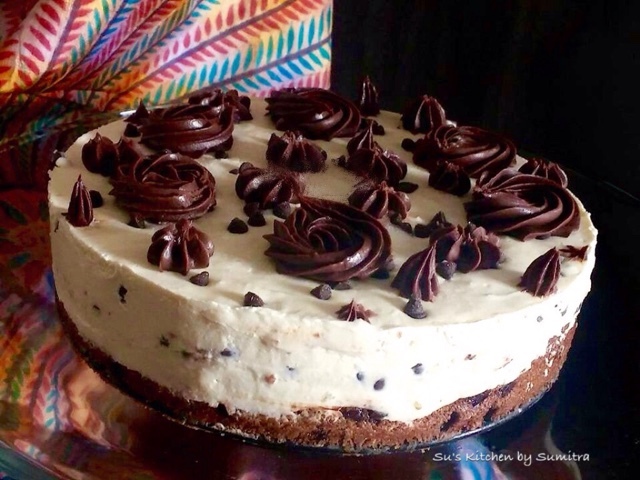 If you don't want cheese cake, you can just follow the cake recipe and make just the cake. 1 small bowl of Chocolate Ganache and a nozzle of your choice.. Beat all the above ingredients except cream, chocolate chips and veg gelatine in a mixing bowl. Add hot water to the gelatine powder and dissolve the gelatine. Add the cream and veg gelatine beat it again. Add 3 tbsp chocolate chips and mix it. Press the cake lightly with a flat surface. 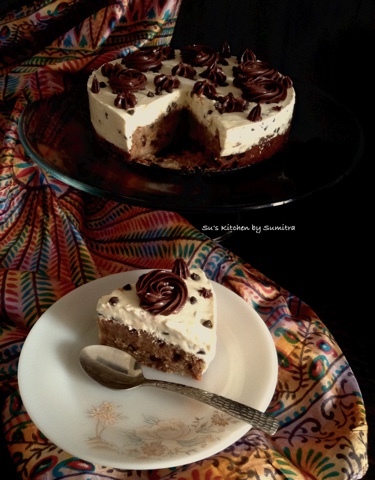 Pour the batter on the cake, sprinkle 1 tbsp chocolate chips on the top of cream cheese. Cover the mould with a foil paper. Keep it in the refrigerator for 6 to 8 hours. Unmold it and decorate it with chocolate ganache. P. S. If you are in a hurry then keep it in the chiller for 3 hours and the unmould it. 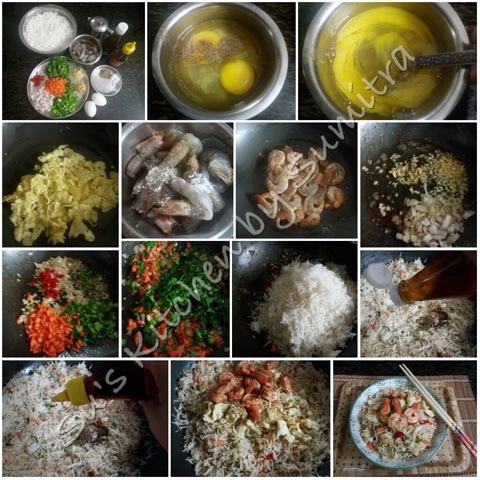 Fried rice is one of the very popular dish originated from China, it is very commonly sold on the streets of Asia. 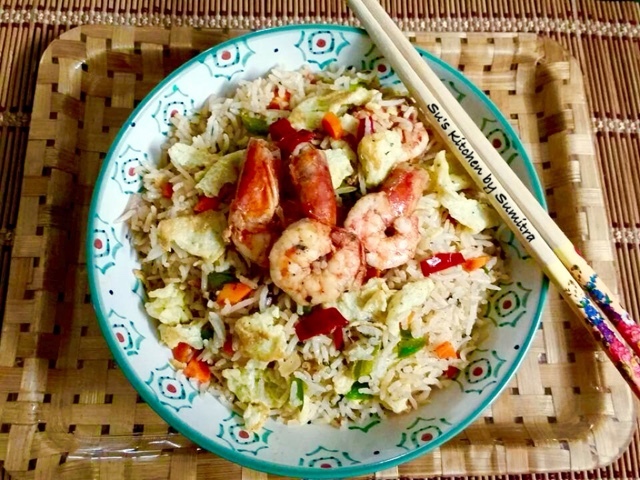 In some Asian countries, there are some small restaurants, street vendors and cart hawkers that only serves fried rice. To make the fried rice, leftover rice is generally used as the moisture in freshly cooked rice will cause it to steam instead of fry. It is stir-fried in a wok with oil to prevent sticking. The oil is seasoned with garlic and onion for flavouring before adding the rice and other ingredients to it, which is then stir-fried together in a wok. 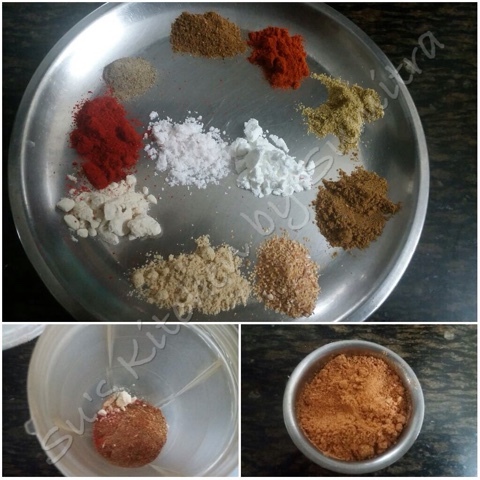 Other ingredients like egg, meat,seafood, vegetables, salt, pepper, different types of sauces are added as per the choice. It is popularly eaten either as an accompaniment to another dish, or as a course by itself. 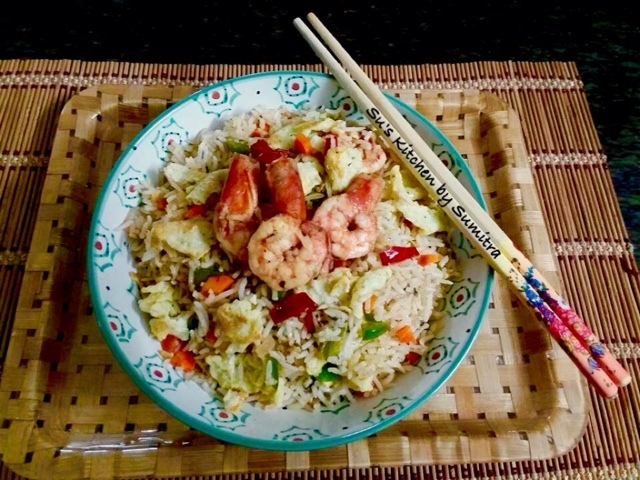 Popular garnishes that are added into the Fried rice are sliced cucumber, tomato or sliced chilli sprinkled on top of the rice. 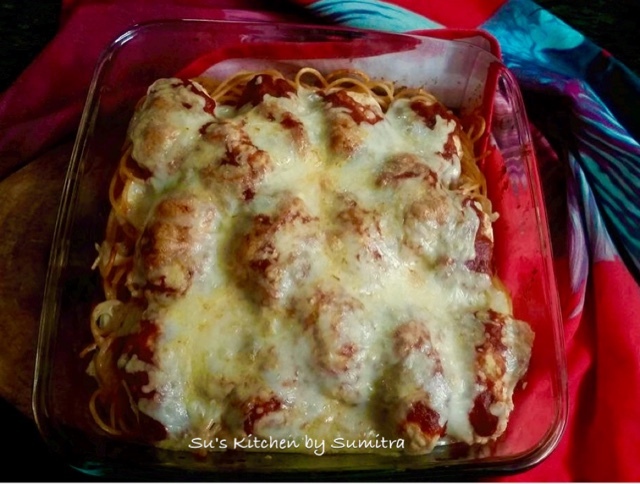 Here is my adaptation to the recipe. I have added some green sorrel leaves to it along with other vegetables for a change. Break the eggs in a bowl. Sprinkle salt and pepper and beat it. Take a wok, add 1/2 tbsp oil, heat it. Add the egg,cook it and make a fried scramble egg. Remove it and keep it aside. Add another tbsp of oil in the same wok. Let it heat. Sprinkle some salt and pepper on the prawns,mix it. Fry it till it is cooked. Remove and keep it aside. Add the remaining oil in the same wok, heat the oil. Add the chopped onion, garlic and ginger mince. Stir fry for a minute on high flame. Add the capsicum, carrot, red chilli and the green chillies. Stir fry it for 2 minutes. 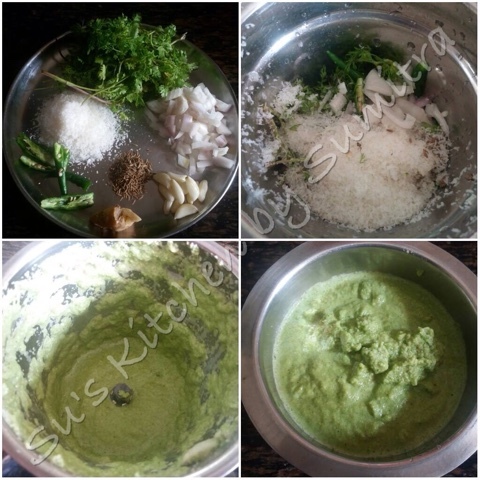 Add the green sorrel leaves and stir it for few seconds. Add the rice, stir fry it for a minute on medium flame. Add the salt, pepper powder, sugar, fish sauce and the rice vinegar. Stir it for another minute. Leaving few pieces of prawns and fried eggs for garnishing, add the rest of the prawns and fried egg pieces in other wok. Stir for it for another minute or 2 until all the ingredients are well co-operated. Garish with the remaining fried egg pieces and prawns. Serve it hot. "Bata" means paste. It is a kind of a coarsely ground chutney. It is a dish from Bangladesh and West Bengal. It is served as a side dish and eaten with the hot steaming rice. There are different types of Bata, made from any vegetable peel like raw banana, green peas, pumpkin, bottle gourd, pointed gourd etc or green leaves or fish. Earlier days people living in the country sides having large families preferred to use all the parts of the vegetable for cooking. Apparently now with nuclear family, moving into cities and change in generation, this dishes are rare to find. Add the pointed gourd peels, 1 green chilli and garlic into the grinder. Grind it into a coarse paste. Take a pan, add 1 tbsp oil. Let it heat. Add the Nigella seeds and 1 green chilli into the oil. Sauté it till the seeds crackle. Add the paste, on a low flame stirring it continuously, cook it for 5 minutes. Add salt, sugar and turmeric powder. Continue to cook for 5 minutes more or till the rawness of the paste disappears. Add the coconut, cook it for another 3 minutes. Before serving add 1/2 tsp Mustard oil. Serve it hot with steaming rice. 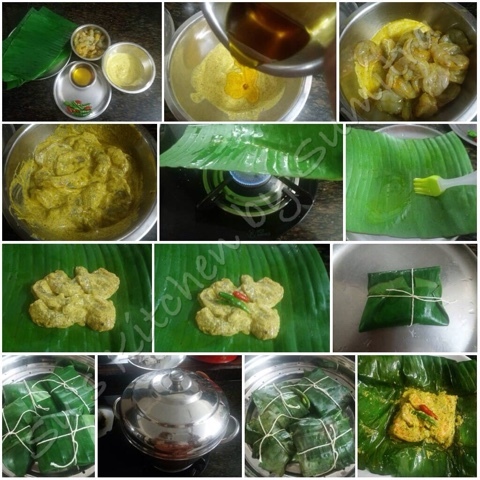 I have adapted the recipe as per my convenience and experimented it with fish.. wrapped in banana leaf and steamed it..... This dish can be served as a starter. 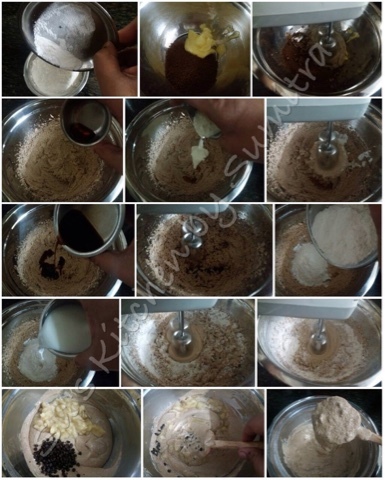 Mix all the above ingredients and blend it in a blender. Take the fish. Rub salt and lime juice and let it stand for 15 minutes. Mix the Jerk spices with olive oil. Rub the Jerk spices and let it marinate for 2 hours or more. 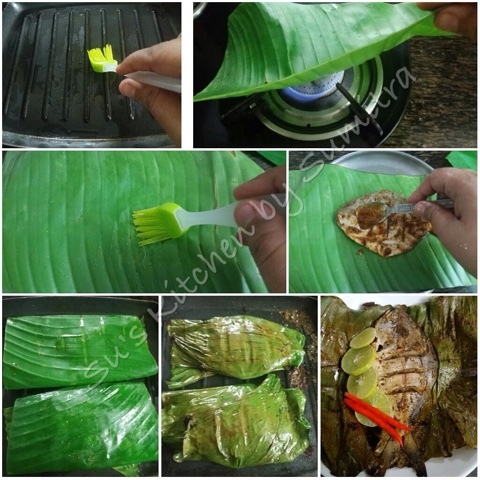 To make the banana leaf more pliable, slightly warm up the banana leaves over low flame for few seconds. Apply oil on the lighter side of each leaf. Place the fish on the leaf. Add the marinated juices on the fish. 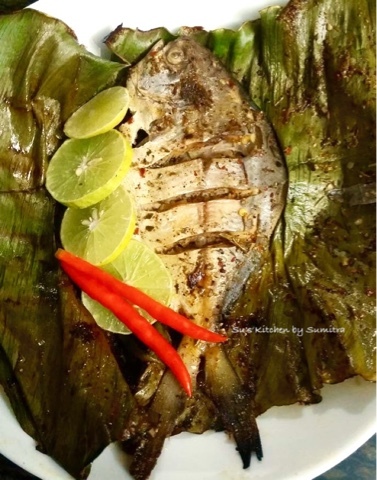 Wrap the fish in the banana leaf. Heat up the pan. Brush some oil in the pan. Cook it covered on medium high flame for 10 minutes on each sides. Serve it hot with lime slices. P. S. Instead of steaming the fish you can grill it too. Uptill now I grew up knowing that Rasgulla's were invented in Bengal by Nobin Chandra Das in 19 th century. The other day when I had posted Rasgullar payesh, a friend pointed out that this is not the truth... 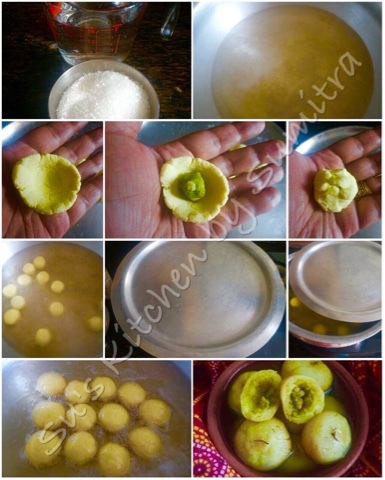 According to historians of Odisha, the rasgullas were originated in Puri, as Khira Mohana which later was know as Pahala Rasgulla. It has been traditionally offered as offering to goddess Laxmi at JagannathTemple in Puri. The Jagannath Temple scholars Laxmidhar Pujapanda and researchers like Jagabandhu Padhi state that the tradition has existed since 12th century. According to people of Pahala, a village which is on the outskirts of Bhubaneswar, had large number of cows and the milk was produced in excess. The villagers would throw away the milk when it got spoilt. When a priest from the Jagannath Temple saw this, he taught them the art of curdling the milk and including the recipe of rasagulla. Hence Pahala become the biggest market for chhena-based sweets. This claim is contested by Bengali historians. According to food historians K.T Acharya and Chitra Banerji, that there are no references to cheese (including chhena) in India before the 17th century. The milk-based sweets were mainly made up of khoa before the Portuguese ruled our country. Their influences led to the introduction of cheese-based sweets. Therefore, the possibility of a cheese-based dish being offered at Jagannath Temple in 12th century is highly unlikely. According to Nobin Chandra Das' descendant Animikh Roy and historian Haripada Bhowmik, rasgulla is not even mentioned as one of the chhappan bhog ("56 offerings") in the early records of the Temple. They also state that it would have been a blasphemy to offer something made from spoiled milk to a deity. However, Michael Krondl argues that Hindu dietary rules vary from region to region, and it is possible that this restriction did not exist in Odisha. Recently it is declared by an Odia researcher Asit Mohanty (research scholar on Jagannath culture and traditions) that there is mention of Rasagola in the Jagamohana Ramayana of Balaram Das a text of 15th Century.The text mentions that Rasagola, along with other sweets were found in Odisha. 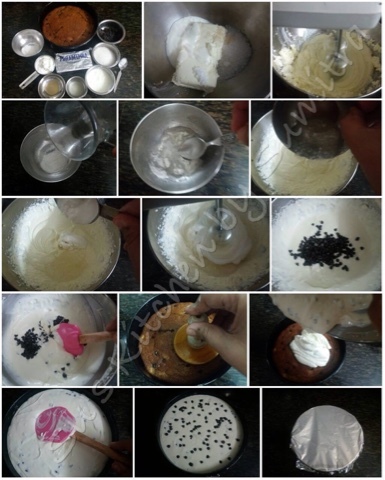 There is also mention of many other cheese made sweets like Chhenapuri, Chhenaladuand Rasabali. 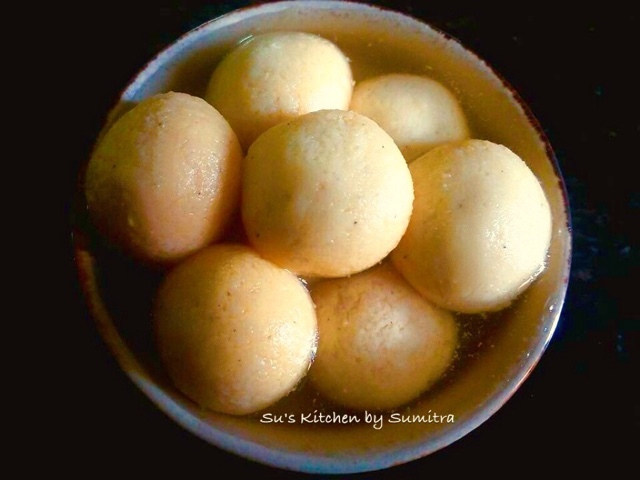 However Bengal claims that the spongy white rasgulla is believed to have been introduced in 1868 by a Kolkata based confectioner Shri Nobin Chandra Das. 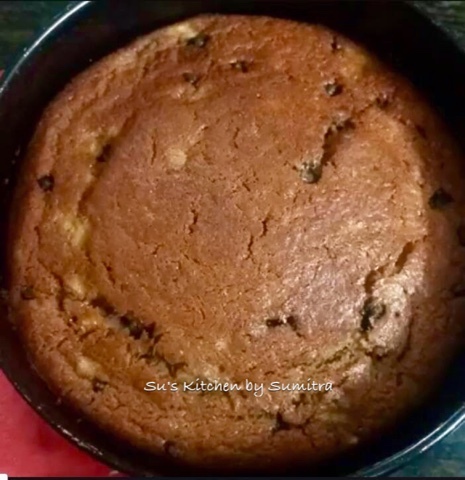 His descendants claim that his recipe was an original, but according to another theory, he modified the traditional Odisha rasgulla recipe to produce this less perishable variant. Yet another theory is that rasgulla was first prepared by someone else in Bengal, and Das only popularized it. In Banglar Khabar (1987), food historian Pranab Ray states that a man named Braja Moira had introduced rasgulla in his shop near Calcutta High Court in 1866, two years before Das started selling the dish. In 1906, Panchana Bandopadhyay wrote that rasgullla was invented in 19th century by Haradhan Moira, a Phulia-based sweetmaker who worked for the Pal Chowdhurys of Ranaghat. 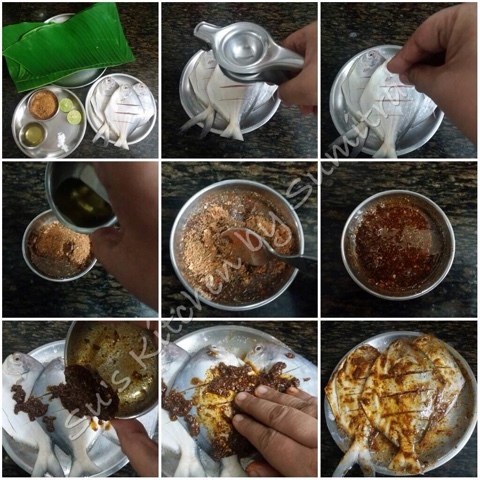 According to Mistikatha, a newspaper published by West Bengal Sweetmeat Traders Association, many other people prepared similar sweets under different names such as gopalgolla (prepared by Gopal Moira of Burdwandistrict), jatingolla, bhabanigolaand rasugolla.Food historian Michael Krondl states that irrespective of its origin, the rasgulla likely predates Nobin Chandra Das.Bhagwandas Bagla, a Marwari businessman and a customer of Nobin Chandra Das, popularized the Bengali rasgulla beyond the shop's locality by ordering huge amounts. In 2015, the Odisha government initiated a move to get Geographical indication (GI) status for the rasagulla made in Pahala. On 30 July, the people of Odisha celebrated "Rasagola Dibasa" ("Rasgulla Day") to reaffirm Odisha as the place of the dish's origin.In August, West Bengal decided to legally contest Odisha's move to obtain GI Status. 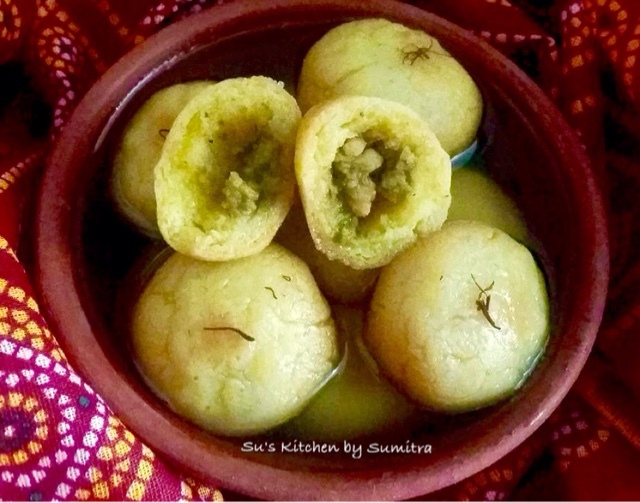 In 2015 The odisha state government constituted three committees to claim over the Rasgulla .The committees submitted their interim report to the government. Noted journalist and food researcher Bhakta Tripathy and a member of the committee had submitted dossier containing historical evidence of Rasgulla origin in Odisha.The Science and Technology department of the West Bengal government also started the process to get its own GI status for the dessert. In 2016 an official of the West Bengal government stated that they only wished for a Geographical Indications (GI) tag only for the local varity of Rasgulla known as'Rasogolla', stating that "There is no conflict with Odisha. What we want is to protect the identity of our Rasogolla. Their product is different from ours both in colour, texture, taste, juice content and method of preparation." For me a sweet is to indulge, irrespective of the state it belongs. Take the a plate, add the chenna, semolina and sugar. Mix and knead it into a smooth dough for 5 to 7 minutes. Take sugar and water in a pot for making the sugar syrup. First let it boil and and let it simmer on low flame. Meanwhile make equal size balls ftom the dough. Roll it into a balls and drop it in the sugar syrup. Let it cook on medium flame covered for 15 minutes. Remove the cover and let it boil for 5 minutes on high flame. Remove the rasgulla from the sugar syrup and put it in the hot water for 10 minutes. Remove the rasgullas from the hot water. 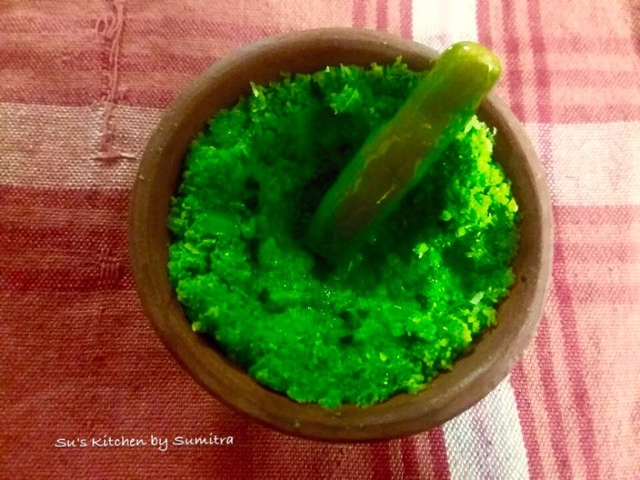 Put it in a bowl and pour the sugar syrup on top of the rasgullas. Cover and let it sit for 30 minutes before serving. 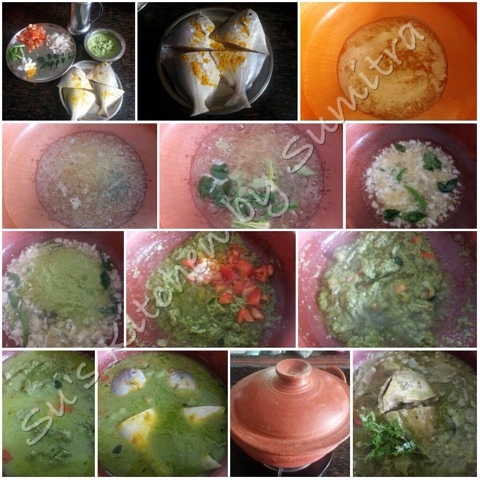 Macher Paturi is a very popular dish of Bengal. 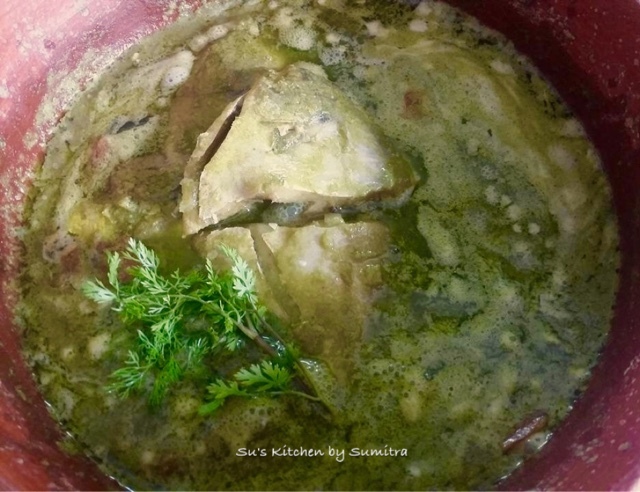 It can be made with fish like Hilsa, Bhetki or Prawns. 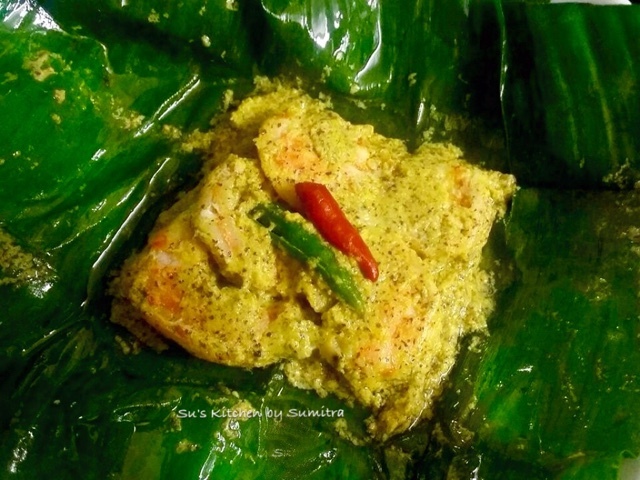 It is cooked in a banana leaf or incase the banana leaf is available then pumpkin leaf or bottle gourd leaf. The main ingredients for the paturi are fish and mustard paste which is wrapped into a parcel made with banana leaf and then steamed. 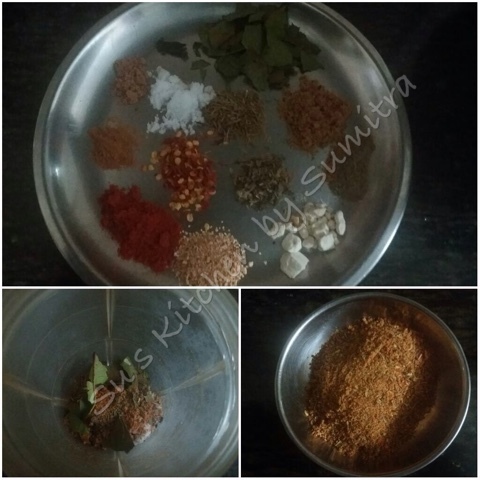 Here is my version of making the paturi. 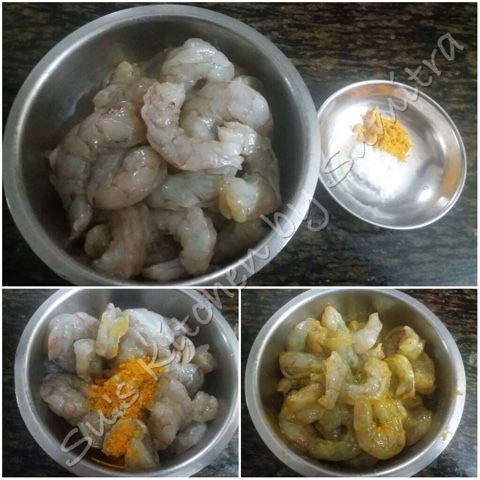 Marinate the prawns with salt and turmeric powder and keep it aside for 15 minutes. Soak the mustard seeds in water. Drain the water out. 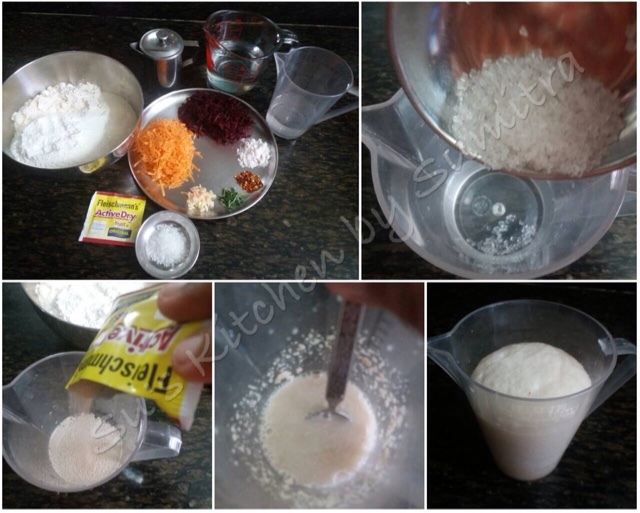 Blend the mustard seeds and all above ingredients in a blender into a fine paste. Take the wet paste in a bowl. Add the mustard oil. Mix it. Add the marinated prawns. Mix it with the paste. Let it rest for 15 minutes. Cut the banana leaves into rectangular pieces. To make it more pliable, slightly warm up the banana leaves over low flame for few seconds. Apply mustard oil on the lighter side of each leaf. Place 6 prawns along with the mustard paste in the center of the leaf. Place one green and red chilli on top of it and fold the sides of the banana leaf by overlapping each other to make a parcel. Tie a thread around the parcel to secure it. Steam the parcels in a steamer for 10 minutes. Cut the thread to open the parcel before serving it. Seve it with hot steaming rice. This is a Bangladeshi Style Chicken Bhuna, which means Chicken stirred and cooked in Masala Curry. It is a semi dry dish. 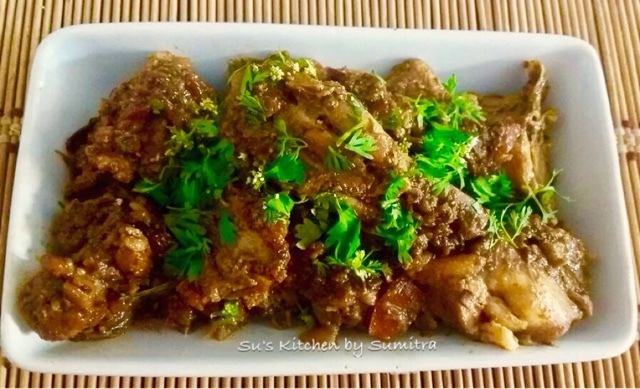 Since it is a Bangladeshi dish, Mustard oil is used which gives a pungent flavour to the dish. It is eaten with Paratha or Bread and Salad. Heat oil in a wok till the smoking point. Lower the heat. Add bay leaf, cinnamon, cardamom, cloves and pepper corn. Sauté it till it crackles. Add the sliced onion, saute it till light brown in colour. Add the garlic - ginger and chilli paste. Sauté it for a minute. Add the chicken and stir fry it till light brown in colour. 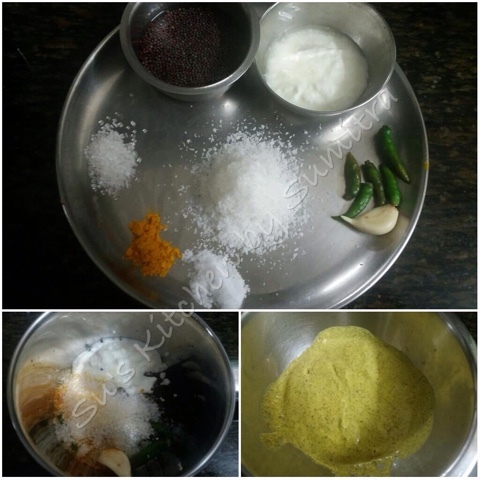 Add the curd, cumin powder , coriander powder, turmeric powder, chilli powder, garam masala powder and pepper powder. Stir, cover and cook till for 2 minutes or till the oil starts to separate from the chicken. Add the sliced tomato, salt and sugar. Stir and add water. Cover, cook till the chicken is cooked and the water dries up a bit. Drizzle ghee from top. Garnish it with fried onions and coriander leaves. 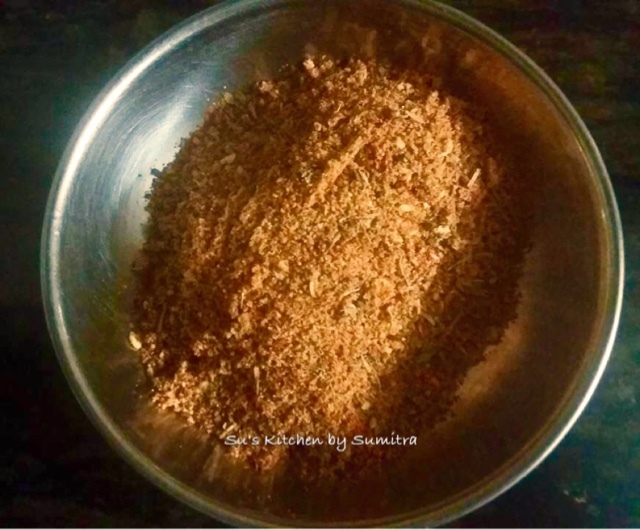 Serve it hot with bread or paratha and salad. Take a big pot of water and let it boil. Once it starts to boil add salt and reduce the flame and let it simmer. 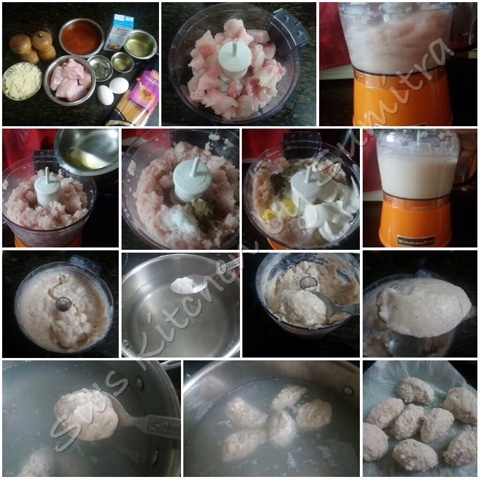 Take a food processor or chopper. Cut the fish cubes into smaller pieces and add it into the processor or chopper. Give couple of pulses. Add the egg whites, salt and pepper corn and blend it. Add the whole eggs, cream and thyme. Blend it once more. It will be a creamy batter. Keep it in the refrigerator for 15 minutes. 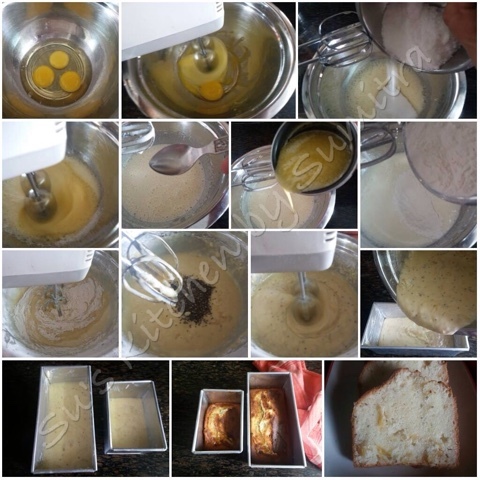 Take a spoon full of the batter and try to give it a oval shape. Drop it in the simmering water. Poach it for 4 minutes and once done will float in water. Once cooked drain it out on an absorbent paper and keep it aside. 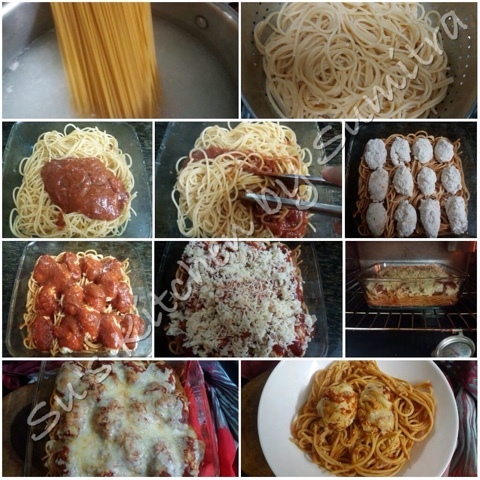 Don't discard the water, boil the spaghetti in the same water and drain the spaghetti. Take a baking tray. Add olive oil, 1 cup of marinara sauce and boiled spaghetti and toss it. 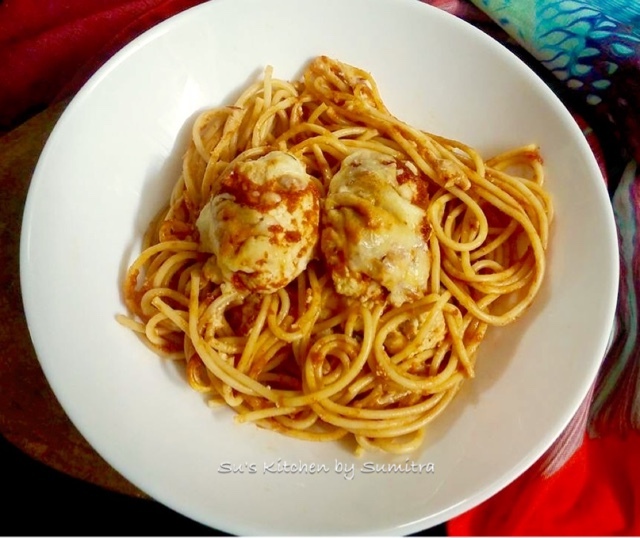 Arrange the Fish quenelles on the spaghetti. Pour the marinara sauce over it. Sprinkle the cheese and bake it in a preheated oven for 15 minutes at 180 degrees Celsius. Serve it hot. Give a slit on the tomatoes. Blanch them in boiling water and as the skin starts to peel, remove them from the water, cool it in cold water and peel the skin out. Lightly blend them in a blender. Add the oil into the pan, heat it. Add the garlic. Sauté it until translucent. Add the tomatoes,tomato purée,bay leaf and salt. Simmer it on medium heat for 10 minutes. Add the basil leaves and pepper powder, reduce the heat to low and simmer for another 10 minutes until the sauce becomes thick. Sauce is ready to use. This dish can be eaten as starter or side dish. 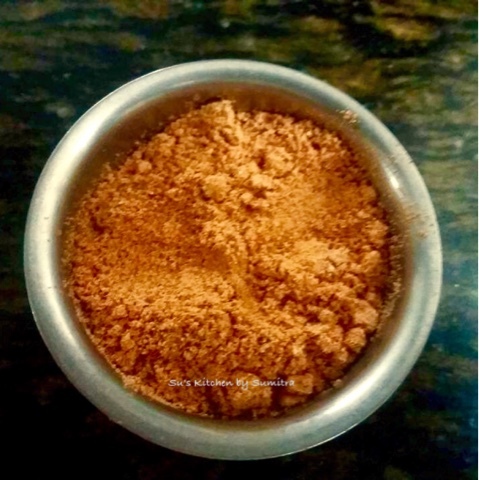 I have made this dish with my easy peasy homemade tikka masala powder. It is spicy and mouthwatering. Sprinkle with chat masala. Serve it hot with salad and lime. 2 Big or Medium Size whole Pomfrets clean and slited sideways. Marinate the fish with lime juice and salt for an hour. 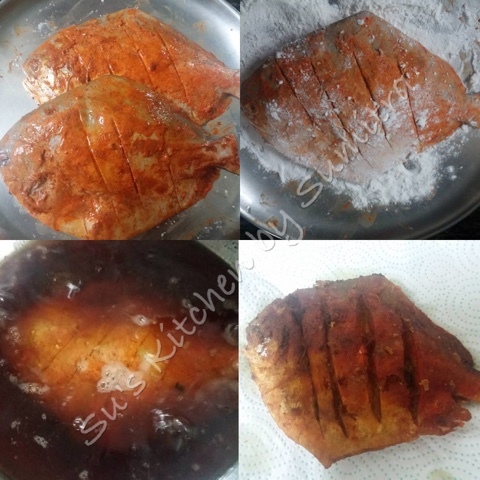 Apply the masala powder on the fish properly and let it marinate for 4 hours or more. 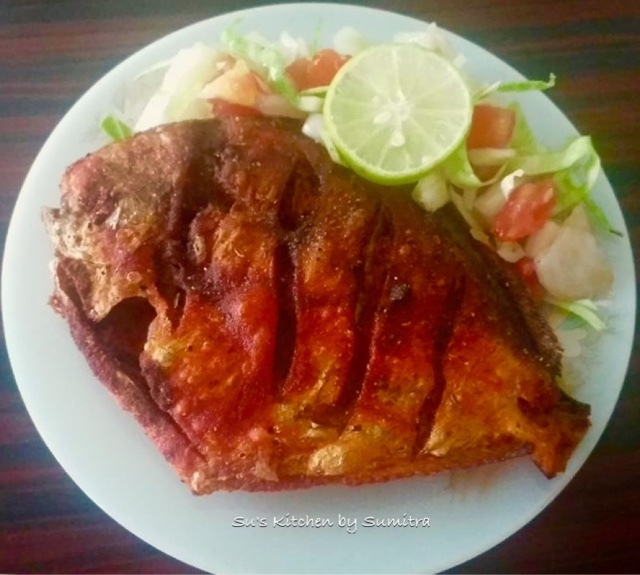 Coat the fish lightly in rice flour and deep fry it in hot oil till cooked and crispy. Sprinkle with chat masala. Serve it hot with salad and lime. 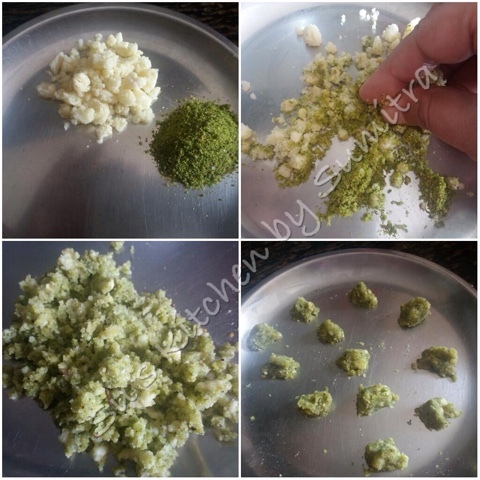 Add all the above ingredients in a grinder and grind it together, so that all the above ingredients blend well together. This bread is an experiment in my kitchen. 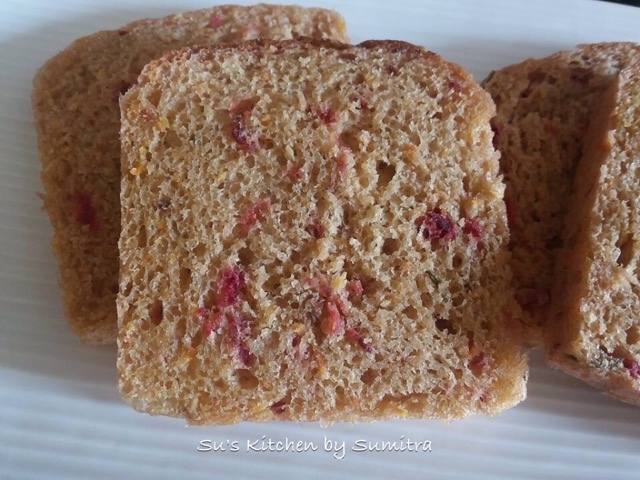 I have used whole wheat flour, all purpose flour and semolina to make this bread. This bread is good for making sandwiches or you can just eat it with cheese spread. It has a mild flavour of garlic and rosemary. It is soft in texture. It Is good for children as it has veggies too. Please do give it a try. Take lukewarm water in a cup and add sugar and yeast. Stir and leave it to rise. 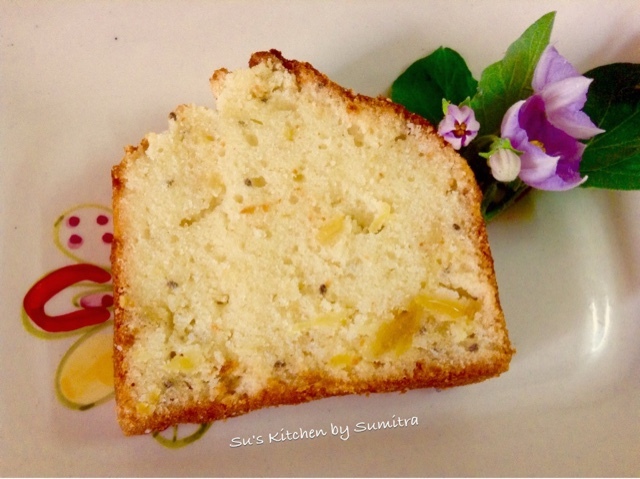 Take whole wheat flour, all purpose flour and semolina in a mixing bowl. Add salt and chilli flakes. Mix all the ingredients together. Add the carrot, beetroot, garlic and rosemary. Mix it together. Add the yeast water, water and 1 tbsp olive oil in the mixing bowl. Mix it and start kneading the dough. Knead it for 5 minutes. Add a tbsp of oil and continue kneading it for 10 minutes more. Take a portion of the dough and try stretching it. If it stretches, then the kneading is done. Transfer it into a greased bowl, cover and let it rise double in size. Punch the dough and knead it for a minute. Apply oil on your palms while handling the dough. Divide the dough into 2 equal portions. Take 2 greased medium size bread loaf tins. 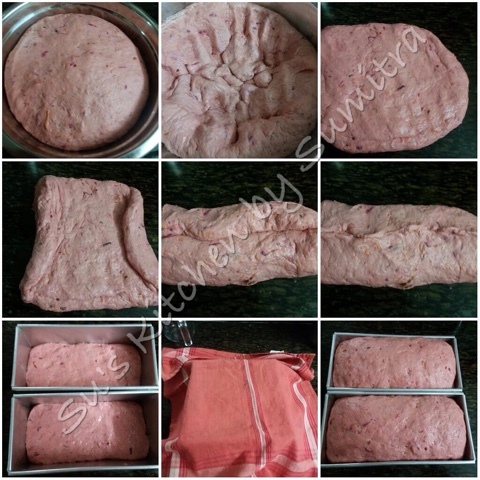 Take a protion and shape up the dough to fit it into one bread loaf tin. Repeat the same process for the other dough. Cover and let it rise double in size. Spray the dough with water. Bake it in a pre heated oven at 190 degrees celcius for 30 - 35 minutes. In between while baking, spray the bread with water. Remove it from the oven, brush the top with butter. Let it cool a bit. Remove the bread from the mould. Cool it completely on a cooling rack before slicing. My daughter is a very picky eater. She avoids most of the vegetables, not because she does not like them but she just forms an opinion about the taste in her mind, where as she does not even know the taste of it. When I had served her this sandwich, she ate not one but three slices of it. After she finished eating, I told her that she ate mushrooms, the vegetable she hates the most. This is the story in most houses with kids. 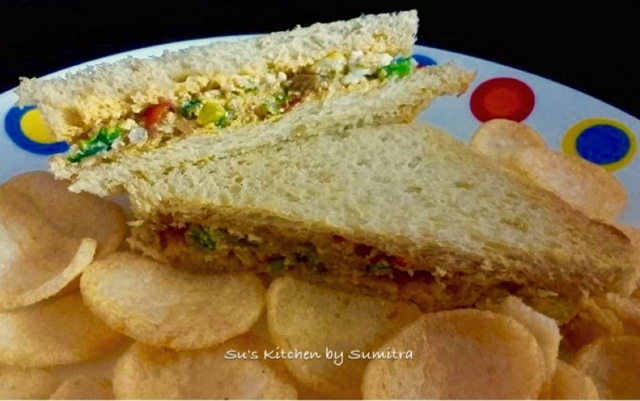 This sandwich is a complete meal filled with eggs, fish and vegetables. I have used canned tuna, but even fresh boiled tuna can be used. I prefer making bread at home, but try to use fresh bread bought the same day from the store. 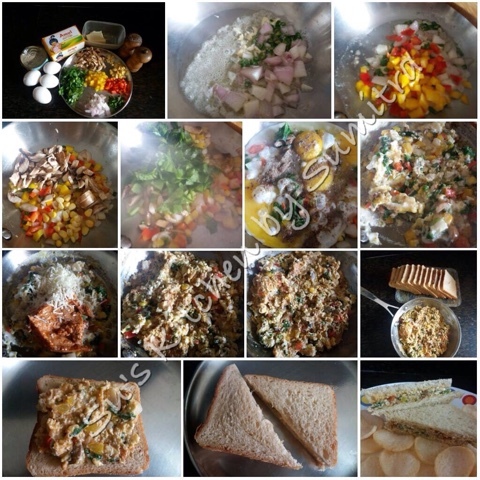 This can be served for breakfast, with evening cup of tea or even for dinner with a bowl of soup. P. S. Grated carrots and beetroot can also be added. To make the filling for the sandwich, take a pan, add the butter and let it melt. Add garlic, chillies and onion. Sauté it till translucent. Add the capsicum. Stir and cook it for a minute. Add the corn and mushroom, stir it for another minute. Add the spinach and stir it for another minute. Break the eggs and add it in the pan, sprinkle salt and pepper powder. Stir the eggs until it is cooked. Add the cheese and the canned tuna. Stir it and remove it from the flame. Let it cool a bit. Take 2 slices of bread. Take 2 to 3 tbsp of the filling and spread it on one slice of the bread. Cover the filling with another slice of bread. Cut it into triangle. Repeat the process with the remaining bread. Serve it with hot cup of tea or a bowl of hot soup. This is one of the sweet delicacy of Bengal. 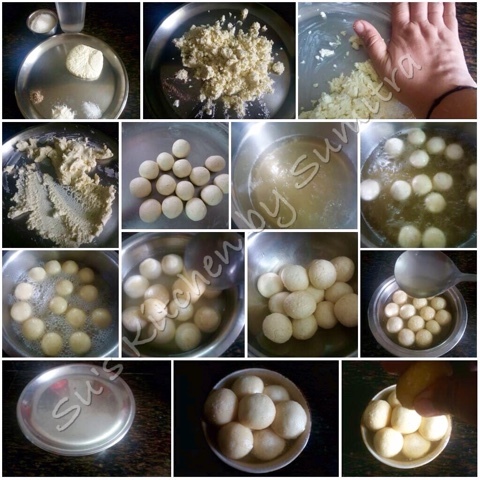 It is another variety of rosogulla which is made from paneer or cottage cheese but it is little bigger in size, yellow in colour and has a mawa and milk masala stuffing inside. Dissolve citric acid in water. Heat the milk and when it just starts to boil, reduce the flame. 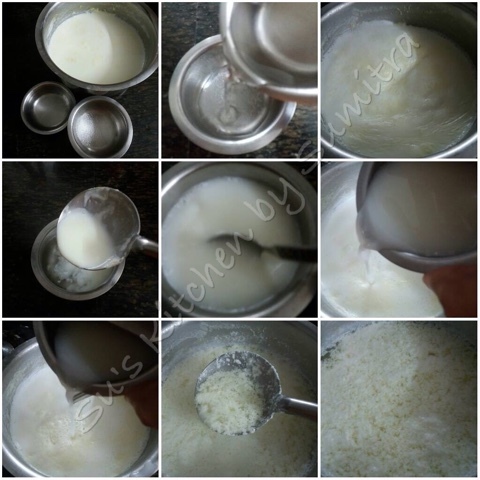 Take a ladle full of milk and add it in citric water, mix it and pour it back in the remaining milk and stir. Once the milk curdles and separates from the whey, then switch off the flame and let it stand for an hour and half. Strain the paneer through a muslin cloth till all the water drains out completely. For the Stuffing, mix the mawa and milk masala together, make 8 or 12 equal small portions as many portions of the paneer balls and keep it aside. 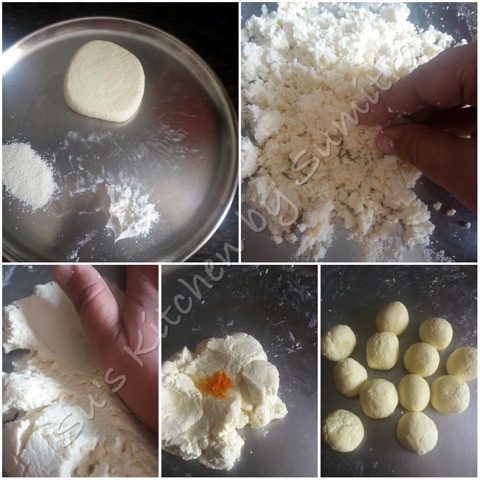 For the Rajbhog, take the paneer, semolina and all purpose flour together and knead it well till a smooth soft ball is form. 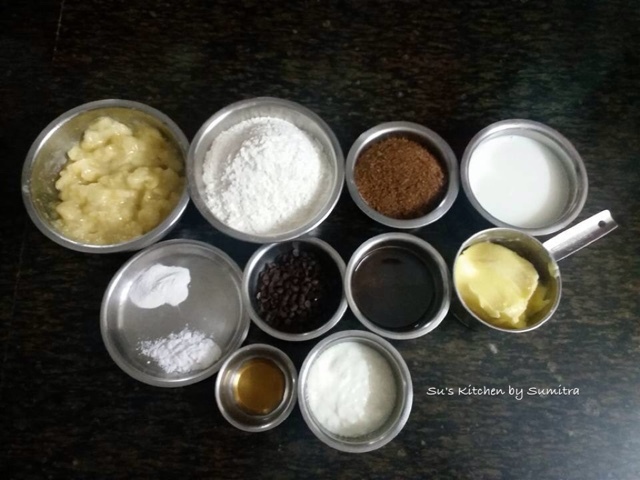 Divide the dough into 8 or 12 equal portions as per the size desired. Take one portion, flatten and create a hollow in the centre of the dough. Add a portion of the stuffing, seal the edges of the dough and roll it back into a ball. 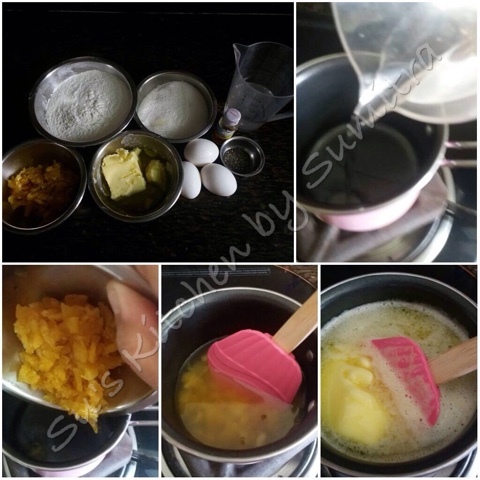 To make the Sugar syrup, mix sugar and water in a heavy bottomed pot. Heat it on full flame. As the syrup begins to boil add the balls one at a time into the sugar syrup to make the Rajbhogs. Lower it on medium heat and cover the lid for the first 5 minutes. Then half open for the next 15 minutes and for the last 10 minutes remove the lid. Serve it hot or room temperature. P. S. Instead of the milk masala powder you can ground 2 Almond, 3 Pistachios, Few Saffron Strands, 1 Cardamom seeds together. 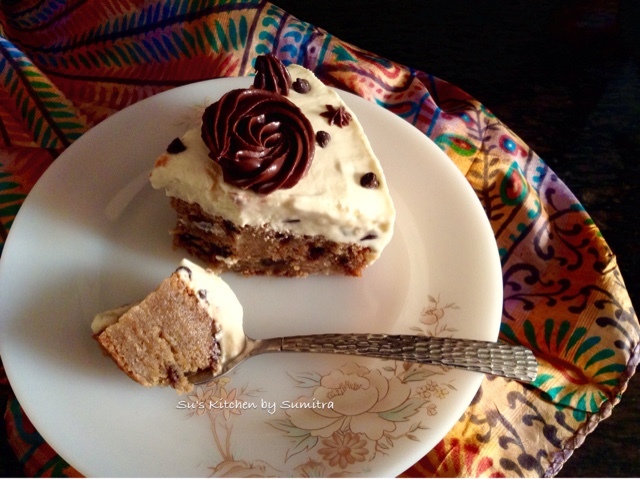 This cake is an experiment in my kitchen. I have used Pineapple compote and Chia seeds. I had some pineapple compote left in the fridge. It's a soft and moist cake. There are pineapple pieces with every bite. Take 1 medium and small bread loaf tin. Grease it with butter and keep it aside. Take a small pot. Add the compote and water. Let it come to a boil and then simmer for 2 minutes. Add the butter and oil. Let the butter melt. Switch off the flame. Let the mixture cool down. Take a mixing bowl. Break the eggs. Beat it for a minute. Add the sugar, beat it till it becomes fluffy and the sugar is completely dissolved. Add the pineapple essence and pour the liquid mixture gradually while beating it. Add the flour in three parts and beat it well. Add the roasted chia and finally beat it for few seconds. Preheat the oven at 180 degrees celcius. Pour the batter into the greased moulds. The batter should be 1/2 the quantity of the mould. Bake it at 180 degrees celcius for 35 to 40 minutes. Check it with the toothpick. If it comes out clean then the cake is done. Remove it from the oven and cool it completely before slicing. P. S. If you are using All Purpose Flour then add a tsp of baking powder. 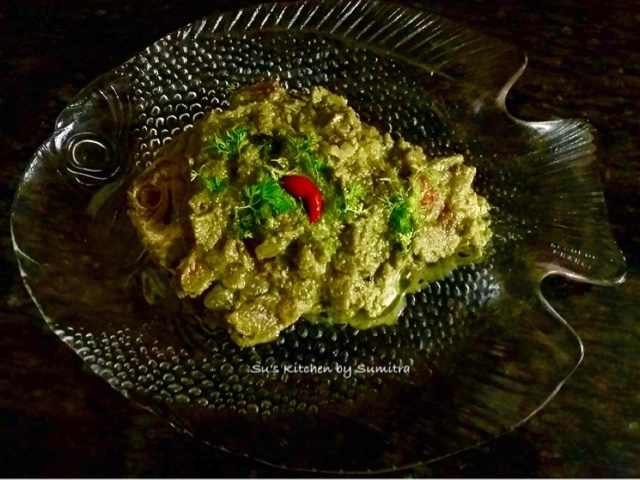 It is a Konkani dish, cooked in green coriander paste. 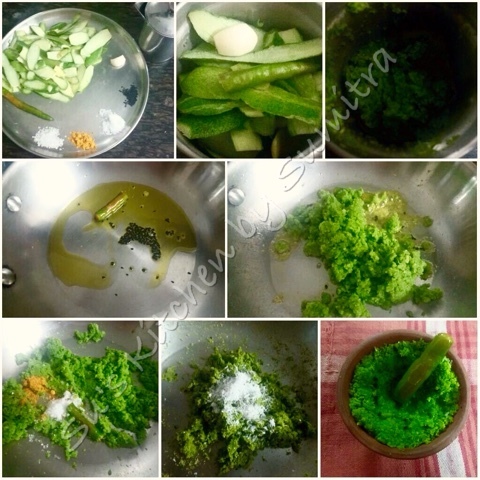 Green coriander leaves, green chillies, garlic, ginger, onion, coconut, tamarind and cumin seeds are use to make the wet paste. The pomfret is then cooked in the wet paste. This dish can be eaten with rice. I have adapted the recipe as per my convenience. In this recipe I have not used Tamarind paste and have added a tomato in the gravy. 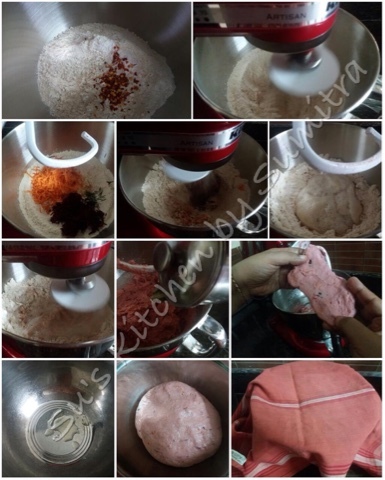 Add all the above ingredients in to a grinder, add 1/3 cup of water and grind it in to a thick paste. Marinate pomfret with salt and 1/4 tsp of turmeric powder. Take a wok or a chatti. Add oil and heat it. Add the mustard seeds and let it crackle. Add the curry leaves and green chillies. Saute it for a minute. Add the chopped onion. Sauté the onions till translucent. Add the green paste. Stir and cook for 3 minutes. Add the chopped tomato, salt and remaining turmeric powder. Stir and cook it another 1 minute. Add a cup and a half of water. Let it simmer for 2 minutes. Add the pomfrets. 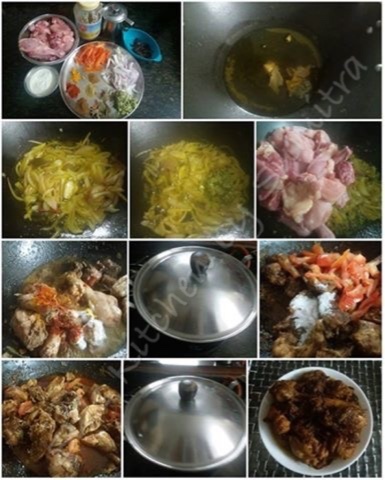 Cover and cook for 5 to 7 minutes. Garnish it with coriander leaves. Serve hot with hot steamed rice.